Today we're flowing on from our eat seasonably post last week where we listed produce that is in season this month. 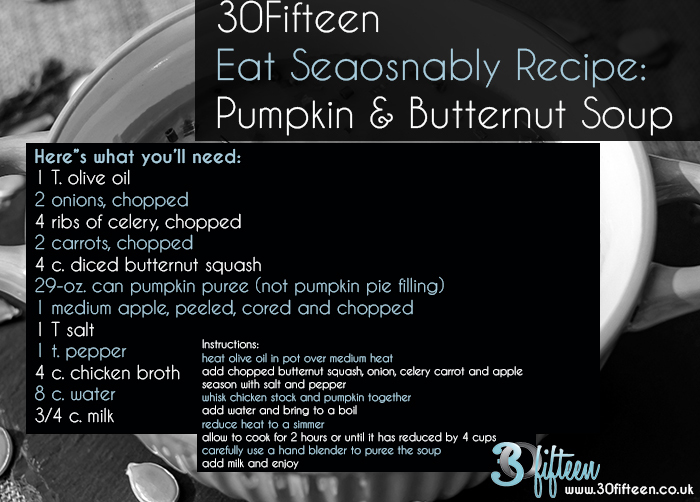 If you're anything like us and love this pumpkin season and everything about it, you'll love this soup recipe! Tastes great while wrapped in a blanket & near a log fire! - Not living in a romantic novel? Try it for lunch during the work week or batch it up and freeze for those busier nights when you just want something quick and easy!